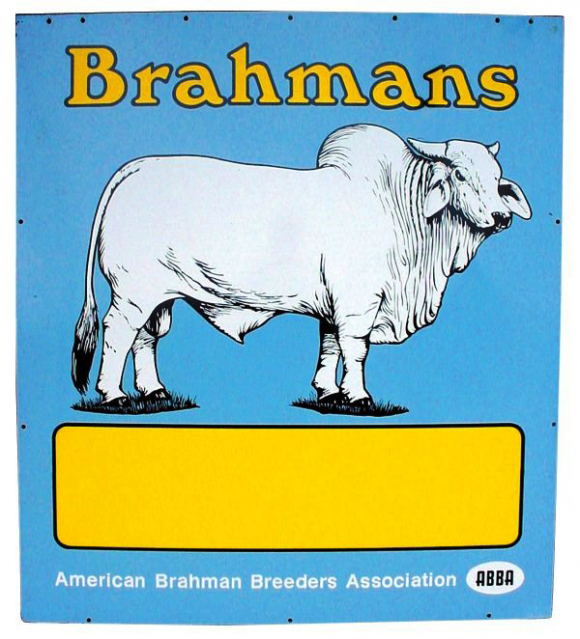 This is a square Brahmans Breeders Association porcelain sign. This particular Brahmans Breeders Association sign is predominantly light blue with yellow text. It reads, “Brahmans, American Brahman Breeders Association ABBA” and features a large white Brahman bull in the center.